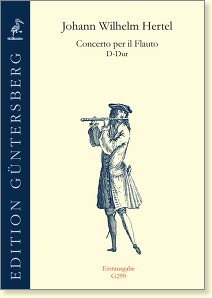 Johann Wilhelm Hertel composed the concerto for flute and strings in 1749, when he was 21 years old. In this spirited and charming work the composer has succeeded in showing off the varied skills of the virtuoso flute player. Hertel's musical language displays traits of the gallant style, which was influenced by Johann Joachim Quantz and Antonio Vivaldi. 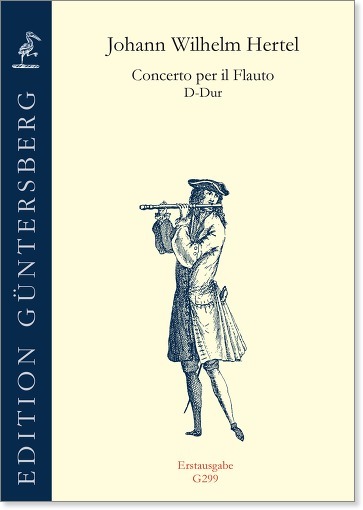 Our First Edition follows the Brussels autograph and has been edited by the flute player Lorenzo Gabriele.